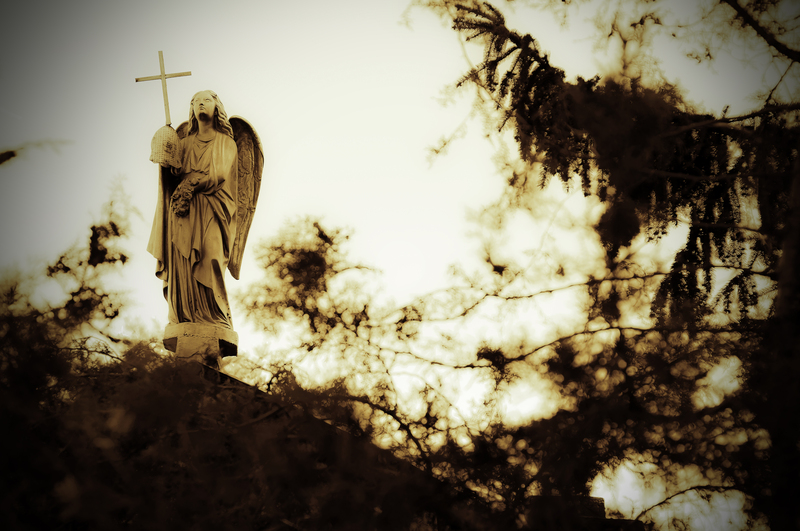 How Well Do You Know Your Guardian Angel? My fascination with angels began at age 11 when I had a brief supernatural experience at a cousin’s house. I woke up one morning to see two silent, somewhat-transparent figures standing with their backs toward me. One had short brown hair and the other had long blond hair, and they appeared to be wearing white robes. I remember feeling afraid that they would turn around and I just kept chanting, “Please help me God, please help me God.” My cousin, who also saw the figures, darted back under the covers while I remained frozen and stared at them. It wasn’t until I turned on the bedside lamp that they disappeared. I’m not sure if they were ghosts or angels, but I like to think that they were angels! Since then, I’ve always loved to read any story or watch any show that is about personal encounters with angels! I had a well-worn Guideposts for Kids magazine that was all about angels from cover to cover. My conscious awareness of my guardian angel has come and gone over the years, though, but my passion for angels was recently reignited again! Just as I talked about the importance of the Holy Spirit a few weeks ago, our guardian angels can be powerful aides in helping us do God’s will. Now, I want you to imagine a civilization of people that are superior in most every way; more intelligent, more strength of will. A higher form of creative excellence in the whole hierarchy of being. And, that God reveals to another group, another civilization of people, i.e. humans, that this higher superior group are given, in large part, to help us, to protect us, to guide us. Now think of this unfortunate fact. That the lower group, the human group, chooses not to pay any attention to the higher group. That the lower group, for whatever reason, whether it be will or distraction, fundamentally day-by-day, ignores the higher group. How can this be pleasing to God? We have to tap this God-given gift of spiritual persons. And, I believe in our present age, where there is a raging spiritual battle taking place, that A., God has given special graces to the angels for our times and B., We can only engage those special graces, we can only reap the power of these angels, by our human consent. We have to will it. We have to consent to it. It’s amazing to really comtemplate that we each have our own protector to guide us along in life, so that we may grow closer to God! And just as with receiving gifts from the Holy Spirit, we have to ask and seek our angel’s help in order to obtain their special graces. So as we pray and strive to use our talents and do God’s will, let’s not forget about our guardian angels who can help us along our journey. All we have to do is ask! For more information about what the Catholic church teaches about angels, visit Catholic Online or Catholic Answers. Do you have a special angel story to share? I’d love to hear it! 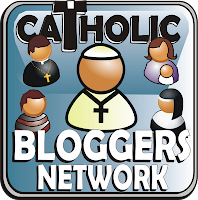 Update: I’m linking this post up with the Catholic Bloggers Link-up Blitz for May! Be sure to check the other posts out, too! This is so great, Stefanie! I took one of Dr. Miravalle’s classes in college and it was one of my favorites. Besides the Guardian Angel prayer I really don’t think of my angel much. That quote was something I def. needed to read. That’s so awesome that he was one of your professors! I think most of forget about the importance of the angels! This was a great reminder for me! Have you read “Send me your Guardian Angel” on St Padre Pio’s relationship with his Guardian Angel? It’s an awesome book….and you will remember stories that you read in it…forever! I’m not sure if you can find it at Amazon…but you can get it at the EWTN store. Thanks for the recommendation! I’ll definitely have to check it out!